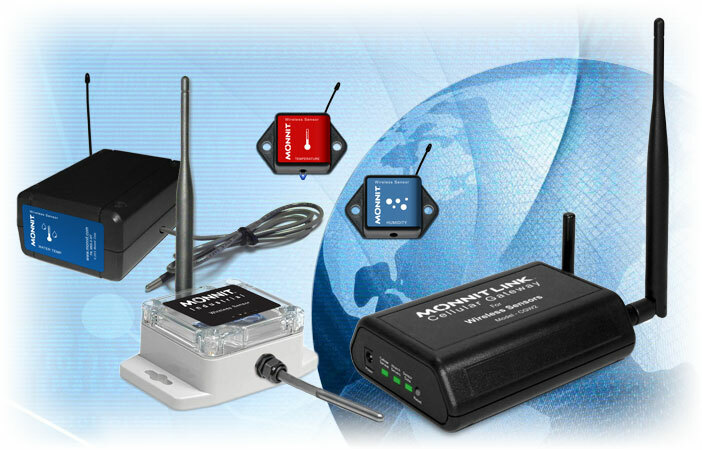 Salt Lake City, UT – November 21, 2013 – Monnit Corporation (www.monnit.com), a leading provider of wireless sensing solutions for commercial, industrial and consumer applications, today announced their wireless technology has received global certification. In addition to FCC and IC certification (US and Canada), Monnit products recently received CE / ETSI (European) approval, making them suitable for global use supporting the “free” radio bands of 868 MHz and 433 MHz as well as 900 MHz. Monnit products have been proven to comply with the essential performance, safety, and environmental requirements set by law around the world. This assures customers that Monnit products are of the highest standard of quality and safety. With over 40 sensor types, Monnit’s wireless sensors are designed to detect and monitor functions that are critical to business operations and personal life, including; temperature, humidity, water, light, access, movement and much more. Maintaining an optimal temperature in your food storage coolers allows you to keep your food fresh. If the temperature falls above or below the optimal range costly spoilage or potential for food poisoning can occur. 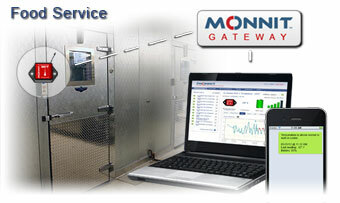 Monnit can help you maintain the proper temperature in your food storage coolers. Using Monnit Wireless Temperature Sensors with a 3 foot probe allows you to monitor the temperature inside commercial food refrigerators and freezers. Monnit Wireless Open/Closed Sensors can alert you if a cooler door is left open or not closed completely. With Monnit wireless sensors you can be notified immediately if a cooling unit begins to fail or a door is left open causing temperatures to rise. The system also tracks and stores your sensor data providing a detailed report as well as spreadsheet export functionality. Ensure the proper storage conditions of the food you serve by using Monnit wireless sensors. Keep food fresh, with Monnit wireless sensors. Using the “New” Bi-Stable Function of Wireless Passive Infrared Motion Sensors. All wireless motion sensors shipped since mid 2013 have the ability to trigger when movement is detected or when movement ceases. The new “Trigger Direction” feature can be set in the edit section for the motion sensor when logged into your iMonnit account at www.imonnit.com. 1. Once logged into the system, click on the motion sensor that you wish to edit. By default it is set to “SINGLE”. This means that the motion sensor will notify you when there is motion detected in it’s sensing area, but not when motion has ceased. However, If there is no motion detected at the next heartbeat interval, the data will indicate “No Motion”. If you wish to be alerted when motion is detected and when motion has ceased, you can set the Trigger Direction to “BOTH”. This tells the sensor to transmit new data that indicates no motion. The lowest resolution on this feature is two times the Re-Arm time. So a sensor in this mode will pick up motion, transmit the data for “Motion Detected”, then goes to sleep for the rearm time. Once the rearm time has elapsed, it will awaken and being monitoring again. If no motion is present, it will allow the rearm time to elapse and at the end of the rearm time, if no motion is present, it will transmit data for “No Motion”. It will continue reporting “No Motion” at each heartbeat interval, until the instant motion is again detected. In both modes, after the rearm time elapses, the sensor will report when motion is detected again.